Ice climbing tours in the south coast of Iceland are really popular and I often guide them for Arctic Adventures and Glacier Guides. The tours are physically difficult and some previous climbing gym experience is not necessary but it will help. I mostly guide first timers on these tours and what it is all about is just having fun, no one needs to get to the top. If you can't climb then we could also just go exploring the outlet glacier which is really cool. As for the rock climbing then I can't say that I guide a lot of those. 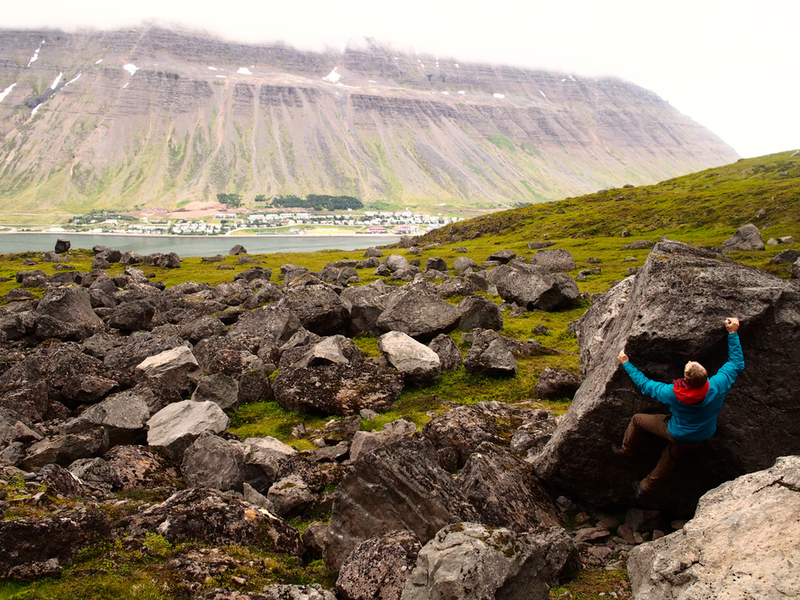 However if you find yourself in Ísafjörður without a climbing partner, DONT PANIC! Go to Borea Adventures office and ask if someone could go climbing with you. They will call me and Ill be there in 15 minutes.